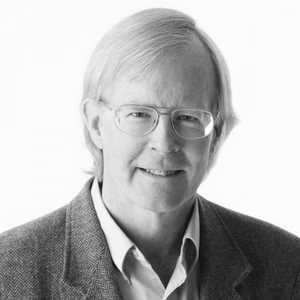 Since joining NRDC in 1979, Ralph Cavanagh has focused on removing barriers to cost-effective energy efficiency and on the role that electric and natural gas utilities can play in leading a clean energy transition. He is based in San Francisco. Since joining NRDC in 1979, Ralph Cavanagh has focused on removing barriers to cost-effective energy efficiency and on the role that electric and natural gas utilities can play in leading a clean energy transition. From 1993 to 2003, he served on the U.S. secretary of energy’s advisory board. He has taught energy law and policy at Harvard Law School, Stanford Law School, the UC Berkeley Law School, and the University of Idaho. Currently he is a board member of the Bipartisan Policy Center, the Alliance to Save Energy, the Northwest Energy Coalition, Renewable Northwest, and the Center for Energy Efficiency and Renewable Technologies; he also chairs the advisory board for the UC Davis Energy Efficiency Center. Cavanagh has received many awards, including the Heinz Award for Public Policy, the Bonneville Power Administration’s Award for Exceptional Public Service, the University of Missouri’s Crystal Award, and the Lifetime Achievement in Energy Efficiency Award from California’s Flex Your Power campaign. He is a graduate of Yale University and Yale Law School. He is based in San Francisco.